14 never before heard, new and remixed tracks including 7 brand new songs totalling nearly 80 minutes of music! King Crimson Lead Singer Jakko Jakszyk was recommended to us, by Steven Wilson, to help Edison's Children mix their 2nd CD "The Final Breath Before November". However after mixing 4 songs, we decided that while they were excellent mixes, they didn't quite have the Edison's Children "sound". John Mitchell would remix the songs for the album (with only The Final Breath appearing from Jakko on the actual CD). For the first time ever hear the other 3 songs as they were originally mixed by Jakko. This will finally include the highly anticipated "Where Were You? - Jakko Whisper Mix", complete with the 2 minute longer "whispery ending" which has been the rumour mill of E.C. forums for over a year now. 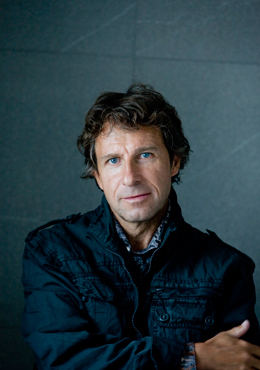 Mid 2013, Pete flew to America to write the 4th Transatlantic album and also work on finishing the Second Edison's children album with Eric Blackwood. Late 2013 saw Pete and Eric release the 2nd album Final Breath Before November. The fourth Transatlantic album Kaleidoscope was released in January 2014. Pete then went on a world tour with Transatlantic taking in North America South America, a cruise with Prog Nation and also Europe. Pete then went back on tour with Marillion to play South America for the second time in 2014 and also a second cruise which was with legendary band Yes on the Cruise To The Edge. Pete is currently working on the new Marillion album, as well as finding some time to work with Robin Boult on their side project and also putting the final touches to the New Edison's Children CD Somewhere Between Here and There. 2010/11. Since touring with Transatlantic on the Whirlwind tour. Pete has played two show's with Jem Godfrey, John Mitchell and Craig Blundell. He has also released a 5 track CD with Robin Boult entitled Acoustic Industry and formed the band Edisons Children with co-writer and founder Eric Pastore. Edison's Children recently released the Album 'In The Last Waking Moments'. 2009 saw the release of Transatlantic's third studio album 'The Whirlwind' an epic 77 minute continuous piece of music recorded in Nashville immediately after the Marillion weekend in Montreal. In March of 2009 Pete also performed an instrumental set at the Marillion weekend Holland with long time friend and collaborator Robin Boult. 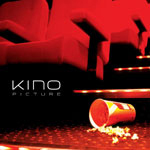 In 2005 Pete teamed up with John Mitchell (Arena), John Beck (It Bites) and Chris Maitland (Porcupine Tree) for a new outside band called Kino. The debut album Picture was released in early 2005 with an album of demos, b-sides, and live tracks following in 2006. During June and July 1999, Pete traveled to New York to meet up with Dream Theater drummer Mike Portnoy, Spock's Beard singer Neal Morse, and Flower Kings guitarist Roine Stolt to take part in a "progressive rock supergroup" project. The 2000 album SMPTe by Transatlantic was followed up with a double live CD, Live in America. In early 2001 Pete returned to the States to record his parts for a second Transatlantic album. Bridge Across Forever was followed by a tour and it's live companion on both CD and DVD Live in Europe. In 2000, Ian Mosley teamed up with Ben Castle to record Postmankind with Pete on Bass... not the first time Ian and Pete worked together outside Marillion! In 1996, with guitarist Sylvain Gouvernaire as the band Iris, they released the instrumental album Crossing the Desert. In addition, Pete added his playing to bandmate Steve Rothery's 1996 Wishing Tree Carnival of Souls album. Pete has had a long history of very short-lived bands from his early years, including such gems as Orthi, The Robins, Tamberlane, Heartbeat, East Goes West, and the most successful of the lot, The Metros. The Metros' claim to fame was opening up for Duran Duran in New York in 1982. CLICK HERE to view all available Pete Trewavas CDs/ DVDs & Merchandise on one page.